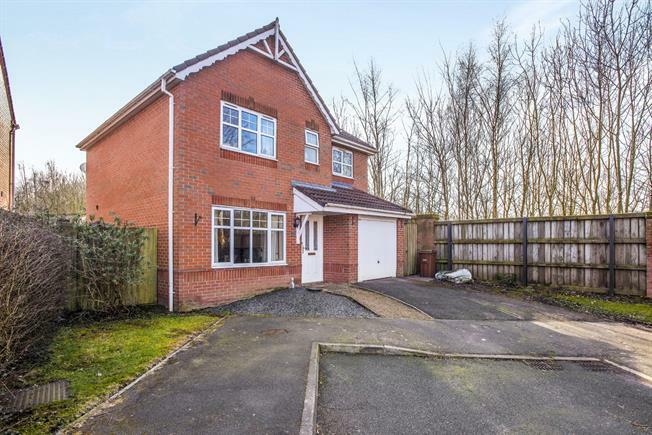 3 Bedroom Detached House For Sale in Chorley for Asking Price £215,000. Beautifully presented modern detached family home which is located in a much popular residential area of Chorley and briefly comprises of; hallway, spacious lounge open to dining room, fitted kitchen, utility room, downstairs WC, large conservatory overlooking the rear garden which is a fantastic addition offering a superb living space, master bedroom with en-suite shower room, two further good size bedrooms, family bathroom, low maintenance gardens to front and rear, driveway leading to an attached single garage. The property also benefits from UPVC double glazing. A viewing is essential to appreciate this lovely family home. Double glazed external front door, radiator, karndean flooring, stairs leading to first floor. UPVC double glazed window to front, radiator, karndean flooring, open to dining room. Radiator, karndean flooring, UPVC double glazed French doors leading to conservatory. UPVC double glazed windows, UPVC double glazed French doors leading out to garden, tiled flooring, radiator, wall lights. UPVC double glazed window to rear, karndean flooring, wall and base units with complementary worktop, one and a half bowl sink with mixer tap, integrated gas hob with overheard extractor, integrated electric oven, space for fridge/freezer and dishwasher, tiled splash backs, radiator, under stair storage. Double glazed door leading out to garden, radiator, stainless steel sink with mixer tap, tiled splash backs, space for washing machine, boiler housed on wall. UPVC double glazed window to side, wash hand basin, low flush WC. UPVC double glazed window to front, low flush WC, wash hand basin with vanity unit, single enclosure shower, tiled splash backs, shaving point, radiator. UPVC double glazed window to rear, radiator, low flush WC, pedestal sink, panelled bath, tiled splash backs, extractor fan. Up and over garage door, power and light. To the front is low maintenance with a driveway leading to an attached single garage. The rear is very well landscaped with patio areas, shrub and flower borders.